We are pleased to announce the recent hiring of Dr. Ivan Maguire to the position of technical consultant at the Water Institute in DCU. 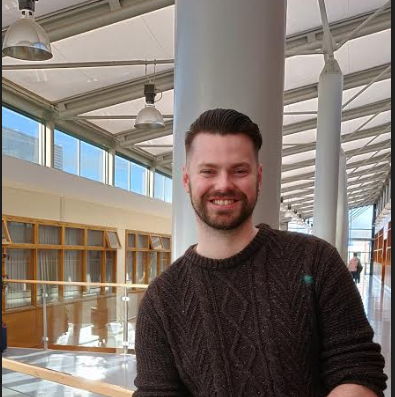 Dr. Ivan Maguire completed his research PhD student in 2018 as member of the Marine and Environmental Sensing Technology Hub (MESTECH), Dublin City University (DCU), supervised by Prof. Fiona Regan. He studied Physics with Biomedical Sciences at the DCU and graduated top of his class in 2014. During his degree, he underwent a final year project which was aimed at the sorting and detection of circulating tumour cells (CTCs) by using the in-house developed, strategic microfluidic obstacle architecture designs, and was supervised by Dr. Charles Nwankire and Prof. Jens Ducrée. He continued his microfluidic research in the form of a PhD program sponsored by an FP7-fund called ‘MARIABOX’, SmartBay Ireland and MESTECH, DCU. His primary technical challenge was to develop a centrifugal microfluidic platform capable of detecting targeted marine pollutants, with other interests in the integration and automation of both marine and non-marine based monitoring systems. Ivan will be working in the Institute as a technical consultant on a number of our water projects and will be responsible for project knowledge transfer and dissemination of key information from research projects.